Fr. John Karastamatis was born in 1937 in the Greek village of Apoika, on the island of Andros. 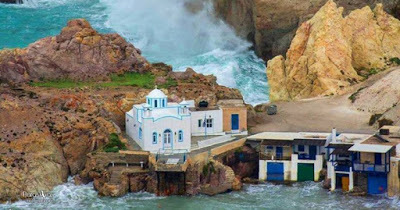 As a boy on the island of Andros, John witnessed many miracles with which God blessed the pious villagers, and thus he was made aware of the closeness of God to the lives of those who seek Him. The heavenly saints, especially the local ones, also manifested their closeness and the power of their intercessory prayer by appearing to and helping the people. John nourished his young soul by learning of the lives of these saints and martyrs, whose unquenchable desire to be faithful to Christ in the face of deprivation, torment and physical death inspired him to also be a servant of God. Although he did not attend any theological school, he wanted to put his faith into practice by someday becoming a priest. In 1957, at the age of twenty, John came to the United States. Five years later he married a young Greek woman, Athanasia Matsellis, and soon became the father of two children, Maria and Photios. The cities of the United States were in sharp contrast to the village of his birth, but his acute awareness of the nearness of God and the other world, given him in childhood, never left him. He now found himself in the midst of those who not only did not want to be close to God, but who actively fled from Him. Still he hoped in God, knowing that the freedom of Christ can be found even in the most stifling and evil surroundings. With the support and encouragement of Fr. George Bogdanos, a Greek priest who recognized in him the integrity and zeal of a true pastor, Fr. John was ordained to the deaconate in 1971 with the blessing of Archbishop lakovos, who supported him in this. 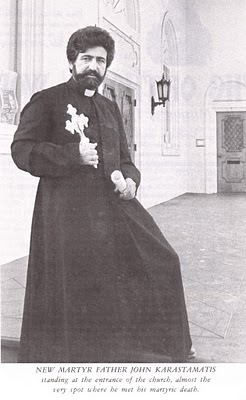 Since both his love for the Church and the love of the churchgoers for him was so apparent, he was made a priest only a few weeks later by Bishop Meletios Christianopolis of San Francisco. He first served the Greek Orthodox community in Anchorage, Alaska, the land of newly-canonized St. Herman, who became thus his guardian angel for the rest of his life. He was later assigned to the St. George parish in Vancouver, Canada, and then to All Saints parish in Anaheim, Pennsylvania. He then moved to Santa Cruz, California, which had been named by the Spanish missionaries after the Holy Cross of the Lord. There he labored with enthusiasm to provide a haven of Orthodox Christianity for the faithful in the area, who had long been without a nearby church. Because the community in Santa Cruz was too small to immediately acquire its own Orthodox church, Fr. John began to serve the Divine Liturgy in the nearby town of Aptos, in the chapel of a Poor Clare convent. The nuns would have their services very early on Sunday morning, leaving the church free for Fr. John and his parishioners to use afterwards. The parishioners were at first hesitant: they would come to Liturgy late, and would all sit at the very back of the chapel, as if they were spectators and not participants. Fr. John knew that he had much work to do. He was sometimes disappointed at the lack of active interest among his flock. His was a burning faith, and lukewarmness had always been foreign to his soul. His task, he knew, was to ignite this fire within each of his parishioners, so that they themselves would struggle for the kingdom of heaven, the one thing needful, and not sit in the background and expect their priest to do their work for them. 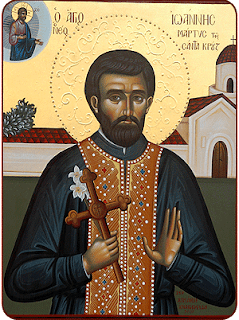 He could not demand too much at once, but had to be a gentle and loving pastor, condescending to the weaknesses of his flock so as not to overwhelm them and cause them to abandon the Orthodox faith altogether. The gap between shepherd and sheep had to be bridged gradually and carefully, and Fr. John had to spark the kinder in the hearts of his flock without scorching them with the consuming fire within him. Sometimes Fr. John would speak forceful words of rebuke to awaken his people from their spiritual sleep, but mostly he would inspire them by his quiet and unobtrusive example. They began to see how hard he struggled and were moved to help him fulfill his godly dreams. His fervency and zeal, his unequivocal belief in the other world, was something that they did not fully understand, and yet that they inwardly -- and in some cases unconsciously -- longed for. Having come to love him deeply, they were grateful that God had sent a harvester to their field. By giving his parishioners new aspirations, Fr. John instilled in them the desire to start their own church. They collected and saved money and eventually found the perfect building for their church: a former funeral home in Santa Cruz, across from the public library and in the best park of town for missionary activity. Fr. John did much of the interior work himself, fashioning a beautiful white iconostasis and a large domed apse behind and above the altar. When completed, the newly-consecrated church became a refuge from the noisy bustle of the world, an island of holiness in the middle of downtown Santa Cruz. The church was dedicated to the Prophet Elias. With their new and beautiful church, the parishioners, comprised of over 75 families, now had a sense of accomplishment. They felt that they had come a long way from the days when they had little choice but to use a chapel which was outside of town. Now they could branch out into other activities. Fr. John by no means wanted his Orthodox community to be a closed one, and he rejoiced to discover any fervent young souls which came to him in search of the fulness of Christianity. Santa Cruz has been a gathering place not only of the darker and meaner elements of society, but also of idealistic young people who have desired something more meaningful than the American values of materialism and competition. By the time Fr. John started his church in Santa Cruz, a small but significant "Orthodox Christian movement" had already begun at the university there. This was primarily the result of the missionary work of Hieromonk Anastassy. Through him, many Santa Cruz university students embraced the Orthodox faith and dedicated their lives to serving Christ. 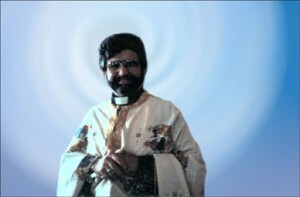 In 1981, Fr. Seraphim Rose, at the request of the Orthodox students there, gave two lectures at the university and further inspired young souls to enter what he called "the saving enclosure of the Church." 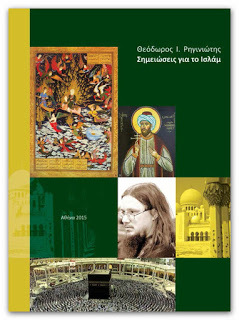 The fellowship of Orthodox students turned also to Fr. John and his church in order to receive spiritual nourishment and to participate in the divine services, which lifted them above the worldliness of university life. Fr. John always greeted them with a radiant smile and warm love, seeing in their young faces the freshness and enthusiasm that would keep Orthodoxy alive for future generations. After these students graduated, Fr. John brought other young people to the Orthodox faith, giving them all that they needed for their growth in the faith and being to them a loving father who was concerned for their spiritual welfare. Since the Prophet Elias Church was in the middle of town, people would often come from off the streets to ask questions and attend the services. Fr. John kept an "open-door policy," making himself and his church available to anyone with a pastoral need. The people of Santa Cruz came to know him as being kind, trusting, full of love and open. He had great compassion for the poor, and was helpful to all who came to him, disregarding their religion or whether or not they were taking advantage of him. It was not uncommon for him to be awakened at odd hours of the night by needy people knocking at his back door. No one would be refused, but would always be given alms for a meal. In the most outcast and downtrodden of individuals, and perhaps especially in them, Fr. John saw the image of Christ. With deep-felt Christian love, he once wrote these words about the simple people who, although rejected by the world, are faithful to Christ and follow the voice of their hearts: "We see them lonely within the crowd, or following the life of a hermit as they become symbols of truth and beacon lights of Christianity, praying for peace and brotherly love on earth." 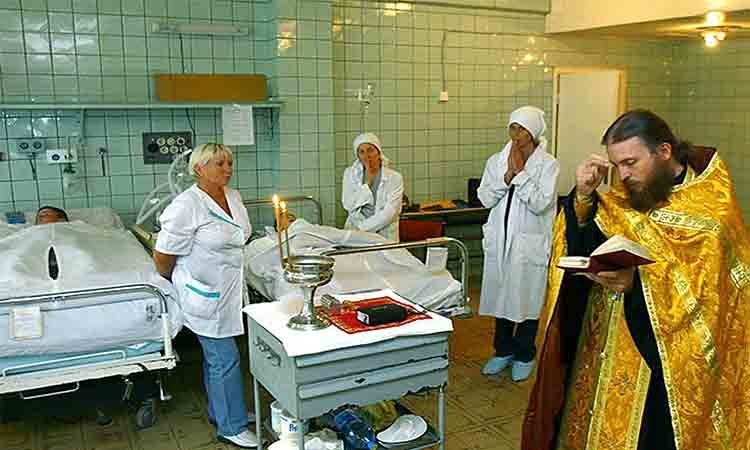 Orthodox Christianity was not just something "for Greeks," but rather was universal. His love for God induced him to earnestly desire to bring forth fruits for Him, as a son strives to please his father, and this made him a zealous missionary to all peoples. He had services in public parks, where the townspeople would stop to attend something, which, although foreign to them, they found to be divinely beautiful. Hearing Fr. John, with his full and resonant voice, chanting the ancient Byzantine melodies along with his cantor, would unexpectedly catch a vague and half-remembered glimpse of that sacred realm which their souls knew but their minds had never been exposed to. In such a way was Fr. John able to introduce the riches of Orthodoxy to the spiritually impoverished American people. While Fr. John's fervent pastoral work served to convert many non-Greek people, his first job was, of course, to "convert" many of his own people -¬those who were baptized Orthodox but whose commitment to Christ meant, at most, only an external commitment to church attendance and activities. By his own faith he demonstrated to them that Orthodoxy is not merely a ritual, a system of dogmas or a behavior pattern, but is instead a transforming power, which is tapped by conscious spiritual struggle. The good works of Fr. John were too numerous and his outreach too extensive not to evoke malicious actions from the haters of God. The visibility of Fr. John and his church in the middle of Santa Cruz made them more accessible not only to those in need of help, but also to those who wished to destroy all that is holy. A few months before Fr. John's death, the church was desecrated by unknown occultists, who painted "666" and the five-pointed satanic star on the front entrance. When the desecration was discovered, Fr. John reconsecrated the church. Later he received anonymous threats, but was undaunted by them. It was through Fr. 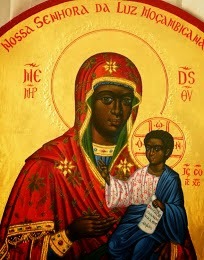 John that the Most Holy Mother of God bestowed a miraculous blessing on the Prophet Elias Church. This occurred after Fr. John brought some bulbs of the "lily of the Panagia" back from his native island of Andros, where he visited with his family. The lily of the "Panagia" (or the "Most Holy") is so named because of the tradition, often depicted in icons, concerning the Archangel Gabriel presenting the Mother of God with this species of lily at the time of the Annunciation. 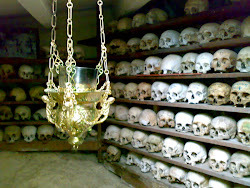 In the monastery on Andros which Fr. John visited, stems from these lilies, being many years old, sometimes bud miraculously at the time of the Feast of the Dormition. Fr. John instructed his son Photios to plant the lily bulbs in pots and to water them only with holy water, which Photios did. After the lilies had grown from the bulbs in May of 1983, Fr. John cut one of the flowers and placed it by the icon of the Mother of God, which leaned against the iconostasis of his church. 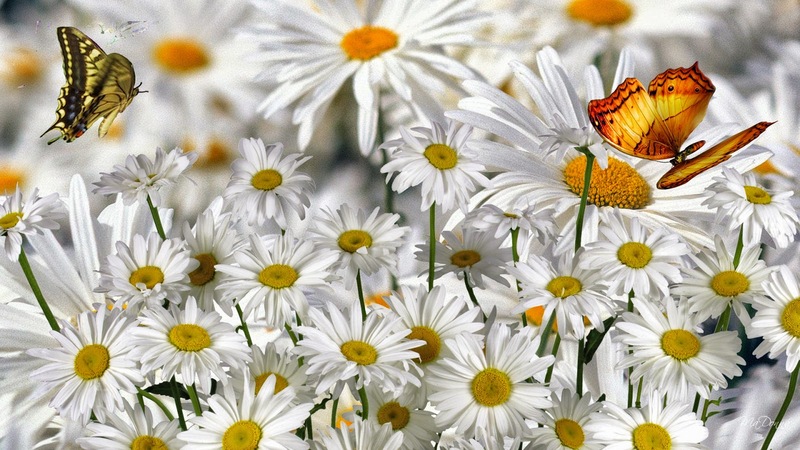 The flower did not wilt for three or four weeks, although it had been cut and removed from both water and earth. When it finally dropped its petals (the first one having fallen on a radiant day when one of Fr. John's converts from the university was baptized), Fr. John told his wife not to vacuum up any of them, but to save them and place them by the icon where the flower stem was still leaning. Aпd then, within three weeks, some fresh sprouts appeared on the stem! The stem continued to produce new stems for many months, until the winter of 1983-4. Fr. John interpreted the miracle as an image of life coming out of death through the Resurrection. 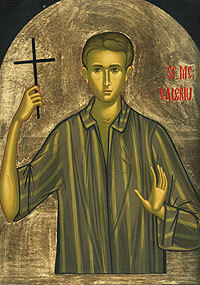 On the night of Saturday, May 5/18, 1985, the eve of Righteous Job the Much-suffering, Fr. John was in the church building preparing a sermon for the following morning. His wife was at that time in Los Angeles visiting her daughter, who had just given birth to her first child. Shortly before midnight, one or more assailants entered the church. Evidently they had been watching Fr. John, for they came at a time when he was alone, when both his wife and 17 year-old son were gone. They attacked Fr. John in his church office, stabbing him with a knife. During the struggle Fr. John was severely beaten, and then was finally killed by a heavy blow on his head. His son, who had dined with him earlier that evening, arrived at 1:30 a.m. at the church where the family lived. Outside the office he discovered the body of his murdered father, and on the walls -- the blood of a martyr. This time the church was not desecrated. In their investigation, the police reported no signs of vandalism or theft, nor were they able to locate any possible suspects. In the absence of a more plausible reason for the crime, it is most likely that the killing, like the church desecration a few months prior to it, was done at the hands of those who hated Fr. John for his holy work, of those who are the enemies of God and rebel against Him because they serve the first rebel, Satan. But whether Fr. John was killed for overtly satanic purposes or for other, irrational reasons, he had without doubt a martyric death, giving his life for Christ and dying in the very church in which he had diligently served Him. His face and fingers were so mutilated that the coffin had to be closed during the funeral services. "His life inspired and enlightened and cheered us!" wrote one of his spiritual children. "His death has served to confirm in a most direct way the realities of not only our Orthodox faith, but of the bizarre and truly anti-Christian ways of our times." Holy New Martyr Priest John of Santa Cruz, pray to God for us! The grave of Fr. 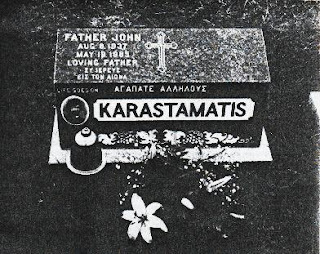 John at Greek Orthodox Memorial Park in Colma, California. I doubly wish the grace and blessing of the Triune God upon you. 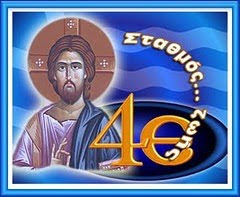 I am informing you about an admirable event concerning the wonderful new martyr, Father Ioannis Karastamatis. After the events well-known to you, which took place around his venerable person, I asked from my dear in Christ Presvytera Anastasia, [the wife] of Father Karastamatis, to send me - for the blessing and sanctification as much of myself as of my spiritual children - a sacerdotal dress of his. After the lapse of four months, and more precisely on the 5th of July of this year, my pious request was fulfilled in an admirable way. On that day, a Saturday, I performed my sacred functions at the altar of our Holy Monastery for the Feast of our Holy Father Athanasios the Athonite, in the presence of other pious worshippers, men as well as women, praying together. At the end of the holy and sacred ceremony and after the distribution of the consecrated bread, the bells in the altar of the Monastery started to ring, joyfully, by themselves, to the surprise of myself and all of the worshippers present. All of us were amazed and were waiting for some indication to be shown by the Grace of the Triune God. In the course of this event, there arrived from Nikaio of Praeus worshippers with two priests. In the afternoon we were about to begin an All-Night Vigil for the joined worshippers. Two hours before the beginning of the holy Vigil, the telephone rang and I was asked for: I spoke to the daughter of Father Ioannis, Maria Kosmides Karastamatis, who said that she had come from America bringing the holy sacred vestments of her holy martyred father, which I had asked for. My emotion was very great!!! Tears of joy were running from my eyes, and immediately I explained the morning's event of the bells. That event had been a holy message, which I in no way knew, that I would receive the joy and the spiritual blessing of the coming of his holy vestments. I note also that, at the moment when the bells had been ringing by themselves, at 10 o'clock in the morning, the ship arrived at the port of Andros with the treasure of the vestments, precious to me. Immediately after the telephone call, on my order, the sacred vestments were brought to the Monastery by the daughter of Father Ioannis, Maria, with his brother Marios. All the priests and worshippers, with emotion and ringing of the bells, received them spreading flowers in the Monastery. There followed a short talk about the martyrdom of the Father, and then began the holy Vigil up until the morning. With spiritual delight, all of us glorified the Triune God, the Virgin Mary and Holy Nicholas, embracing the new star of the sky and admirable holy martyr Father Ioannis. May we have his blessing, and may his intercessions before God strengthen us for our struggles in these terrible days of Antichrist we are going through. Having cultivated the fruit of God’s knowledge by thy labors, thou hast plucked out the root of godlessness and proclaimed in our land the true faith. Anointed with grace thou hast tended the flock entrusted thee, and in shedding thy blood thou waterest the seeds of Christ’s true faith in our land, O New Martyr John of Santa Cruz. Glory to Him Who hath granted thee strength; glory to Him Who hath crowned thee; glory to Him Who granteth healing for all through thee. Read also about the recent parole hearing of Fr. John's murderer, here and here. Αναρτήθηκε από ΝΕΚΡΟΣ ΓΙΑ ΤΟΝ ΚΟΣΜΟ στις 2:34 μ.μ. Η αγωγή των παιδιών για το θάνατο.
" 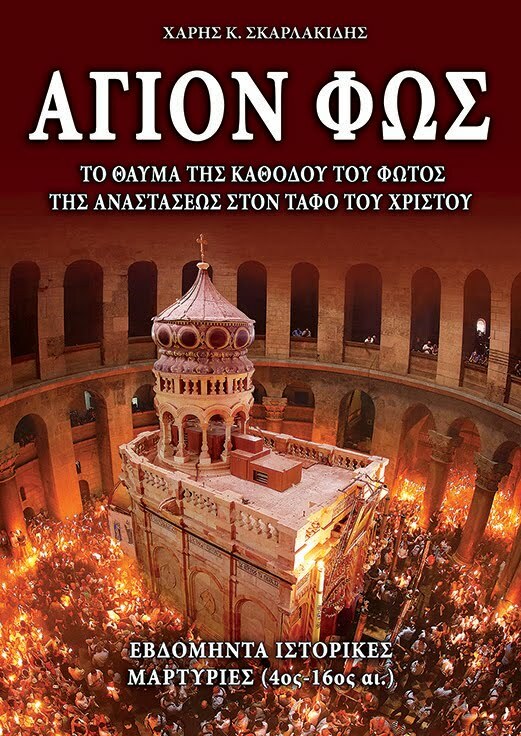 Το παιδί μου... ιερέας;! " 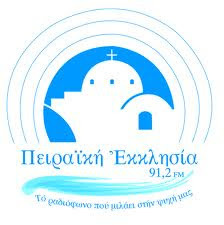 Η συμπαντική στιγμή της "ηττονίκης"
Άστεγοι - στην Ελλάδα και "έξω"